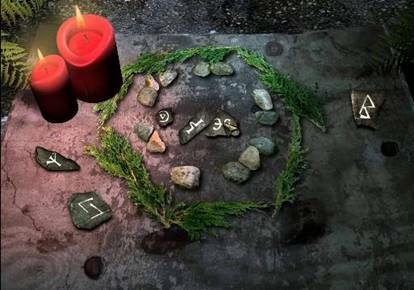 10 years ago, the point-and-click adventure thriller, Barrow Hill: Curse of the Ancient Circle, gave us a chilling story of missing locals, pagan rituals, and a mysterious force living inside an ancient stone circle in Cornwall. Now, Shadow Tor Studios and Iceberg Interactive have release a spine-tingling follow-up to this awesome title, Barrow Hill: The Dark Path. Set a decade after the events of the original game, this new offering will delight both new and old players. The story can stand on it’s own, with no previous knowledge of Barrow Hill required, but fans of the original will get extra enjoyment out of revisiting the old haunts, and reconnecting with some favorite characters. But beware, because once you set foot on The Dark Path, you’re sure to encounter the malevolent entity haunting the site. It’s the Autumn Equinox, just like it was 10 years ago when the original incident occurred. You have returned to Barrow Hill, having just barely escaped last time, to try and uncover the truth of what really happened then, and unravel the ancient magic once and for all. Before your arrival, some local teens re-awakened an angry spirit, bent on taking revenge for an old wrong, and have become trapped within her spell. Kept company by the voice of late-night radio DJ, Emma Harry, and the occasional phone call from one of the scared teens, you must explore the old service station and the surrounding woods, to piece together the story of the spirit and break the spell. 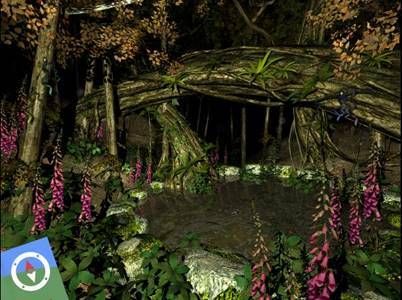 This is a classic point-and-click adventure game, with all the charm and challenge inherent to the genre. With just the use of your mouse, you will explore beautifully rendered environments, searching for usable items, looking for clues to solve puzzles, and piecing together the mystery of the spirit of Barrow Hill. 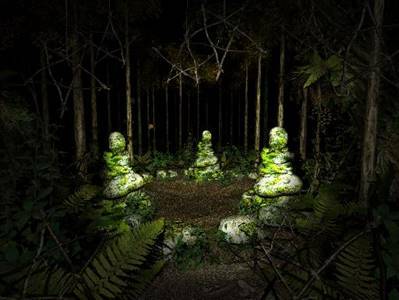 You’ll become very familiar with all of the rooms, paths, and various areas of the woods, as you will need to revisit each several times in order to unlock doors, complete tasks, and discover the correct objects to use to ultimately break the evil curse. The eerie sound track, and the sudden, periodic appearance of the restless spirit will keep you on the edge of your seat, with your eyes glued to the screen, and the hair on your neck standing at attention. I cut my gaming teeth on the point-and-click adventure genre, a true cornerstone of our gaming history, and all these years later it still remains my favorite type of game. Not just great for nostalgic reasons, this genre really stands the test of time, and still holds up as a challenging and fun way to spend a day. I was beyond excited to see this new addition to the genre, and it met all of my high expectations. The graphics were rich and detailed, the story was interesting and engaging, and the puzzles were neither too easy, nor so difficult that it became frustrating. The original voice cast came back to lend their skills to the recurring characters too, which adds a bonus level of familiarity for returning players. Total game time was around 6 hours, and I was still left wanting more. 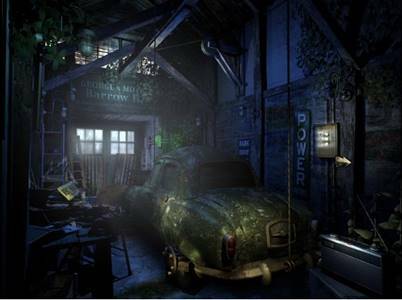 Barrow Hill: The Dark Path was a fantastic game, as well as a fun trip down memory lane, and I hope that Shadow Tor Studios and Iceberg Interactive continue to satisfy my nostalgia for this time-tested genre, and release more adventure titles in the very near future. 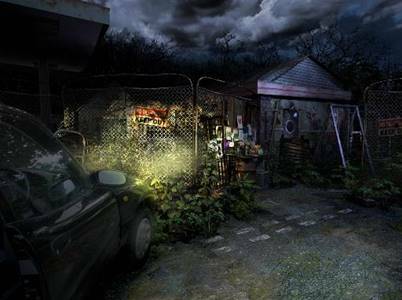 You can download Barrow Hill: The Dark Path on Steam for $14.99. 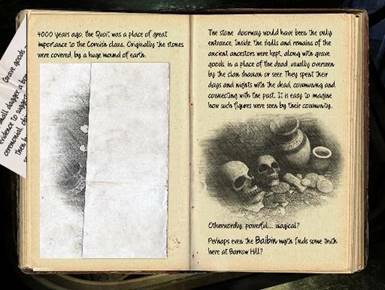 You can also get the original title, Barrow Hill: Curse of the Ancient Circle on Steam, for $7.99, if you want to go back and see where the story began.